While we do not want to drag the sector back into a focus on overhead just when watchdogs have eschewed it as a viable measure of nonprofit worth, it is important, if you are going to claim it as a measure, to be accurate. Especially if you are large and dependent of the kindness of strangers. 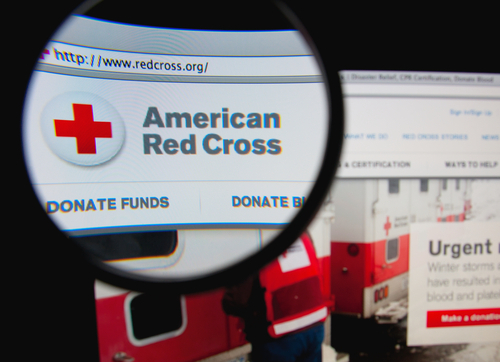 An ongoing investigation by NPR and ProPublica has found that the American Red Cross has been overselling the proportion of its donations that it devotes to services. Red Cross CEO Gail McGovern has been quoted as saying that the figure is 91 percent and that the organization is proud of having such low overhead, but once NPR and ProPublica began to dig around, the organization hid the figure on its website and is not trying to “clarify” the proposition. ProPublica writes that the ARC’s financial statements show that overhead expenses are significantly higher, with fundraising expenses alone as high as 26 cents of every donated dollar and averaging 17 cents per donated dollar over the past five years. On top of that, there are “management and general” expenses. Making the whole picture more confusing is the fact that the large majority of the ARC’s expenses, $2.2 billion, is devoted to its blood business rather than disaster relief, to which it devoted only 14 percent of its spending, or $467 million. The size of the blood business confuses the ratio picture, and making the whole picture yet more confounding is the fact that the ARC Red Cross has had, according to their own estimation, the same exact fundraising ratio year in and year out.